Strategic consulting and guidance from the nation's top college advisor. It's never too early to start preparing! This schedule outlines when the SAT is administered and the deadlines for the signups for these exams. It also gives you an estimate of when you will receive your scores. It is important to stay on top of these deadlines to give yourself enough time to obtain your desired score! Is the SAT not right for you? Everyone is different and depending on who you are the ACT might be the way to go. 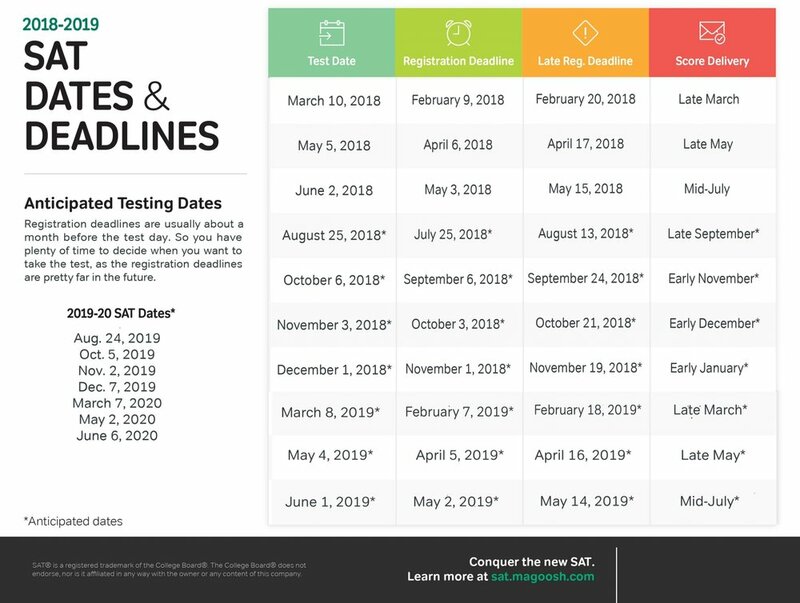 This schedule outlines the dates of the exams and the registration deadlines for the ACT. This also predicts an anticipated online score delivery for each exam date. If you chose to take the ACT it is important to stay on top of these dates and deadlines.